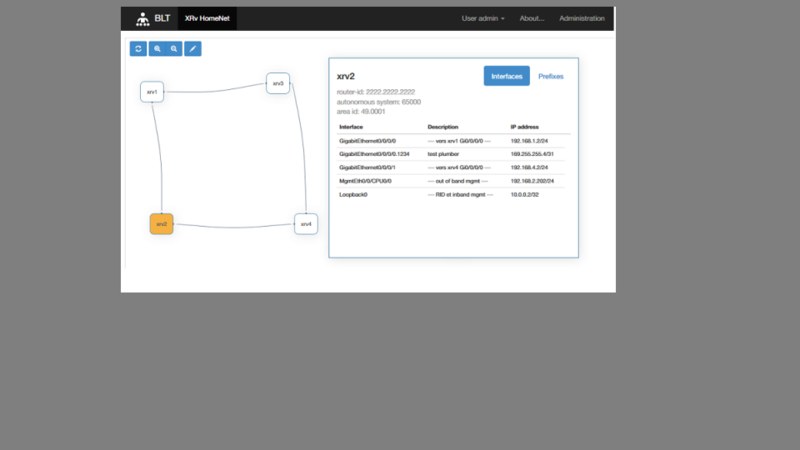 Here you can configure your BGP neighbors ASN and IP addresses. 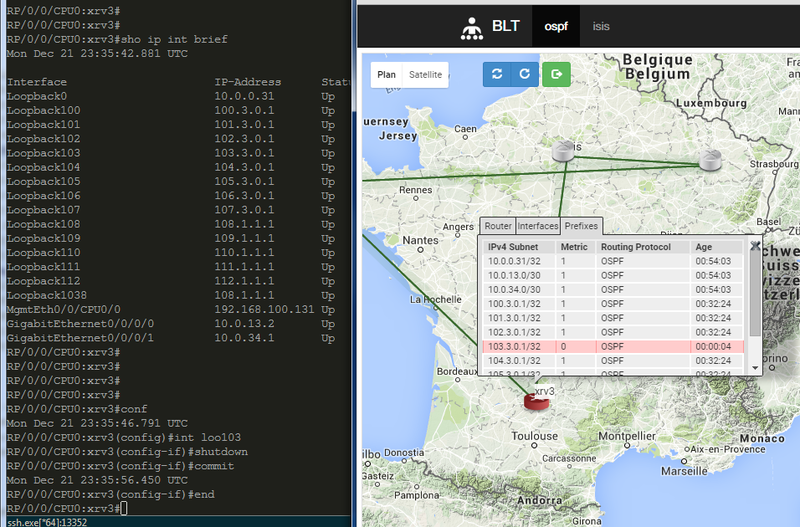 You may also define subnets containing IP addresses of routers discovered through BGP LS and their SNMP communities. 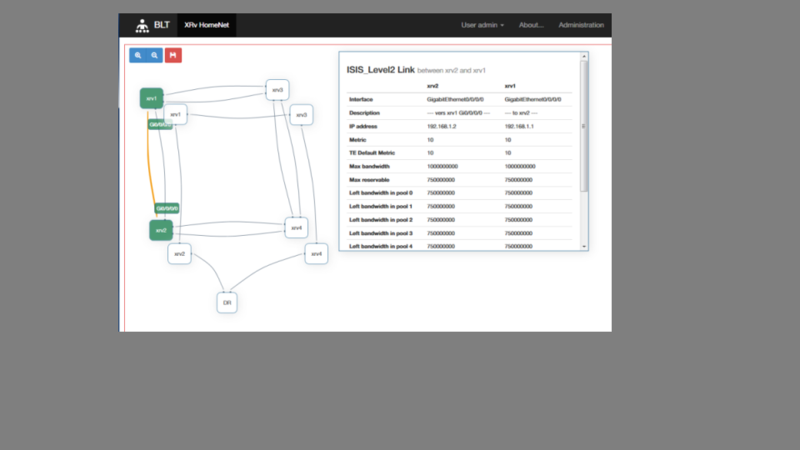 A draggable context box shows IGP data related to selected router. ... same thing for links. 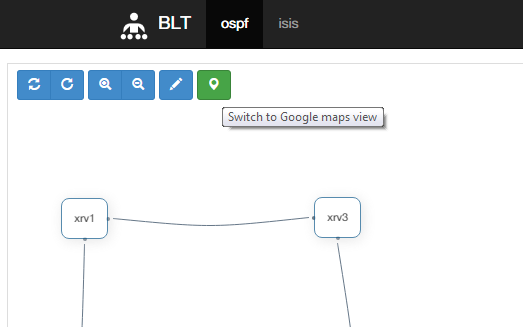 You can monitor multiple IGP topologies, even IS-IS L1/L2 and OSPF at the same time. Consult our Blog for up to come video guides and use cases of BLT. 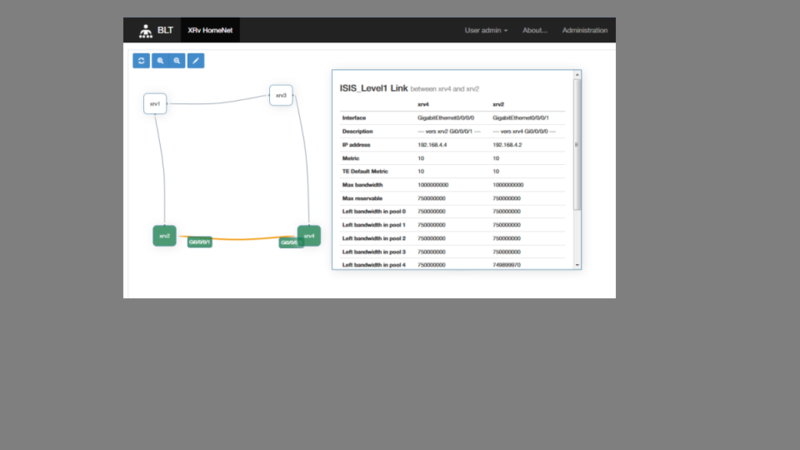 BLT is non intrusive by its very nature: one BGP session is enough to grab the entire IGP database content of your network, and to stay aware of any topology change or prefix addition/removal. 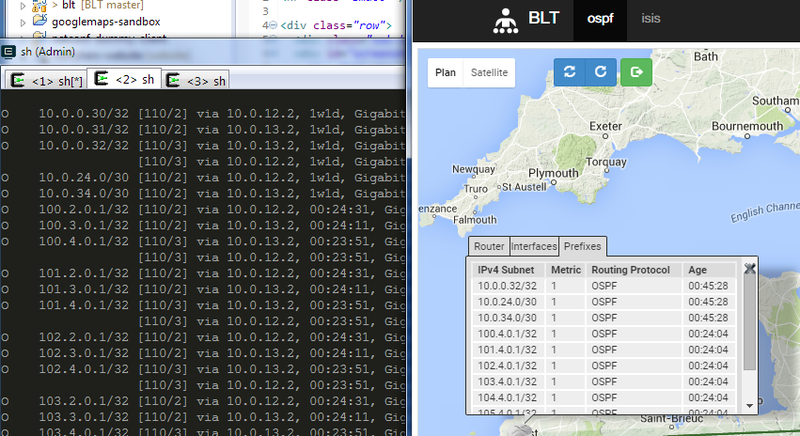 BLT can draw a map of your IGP network, routers and links are draggable in jsPlumb legacy view. 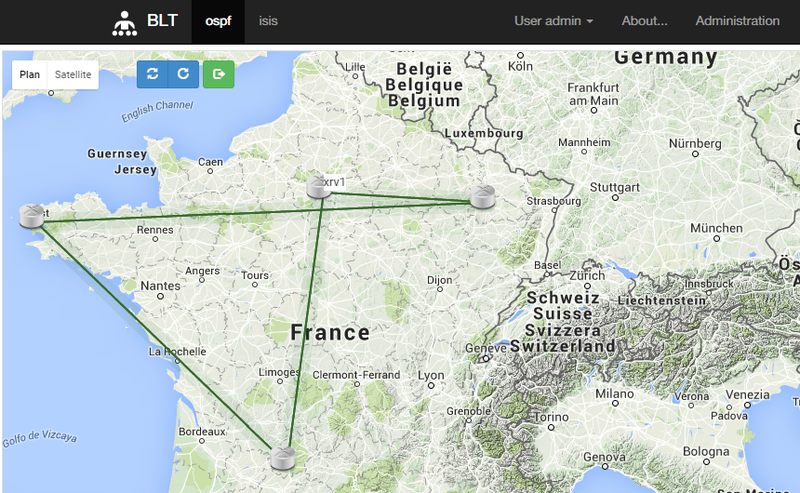 new in 0.4.0 : You may also choose to map your network on Google maps. 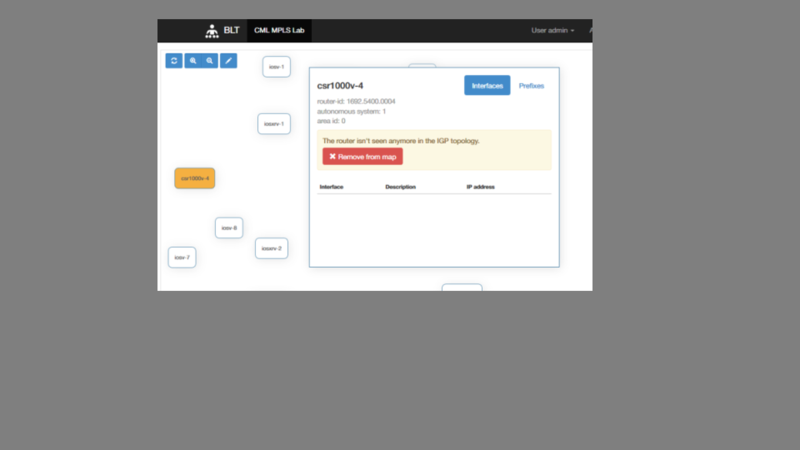 All the IGP information is only one click away ! 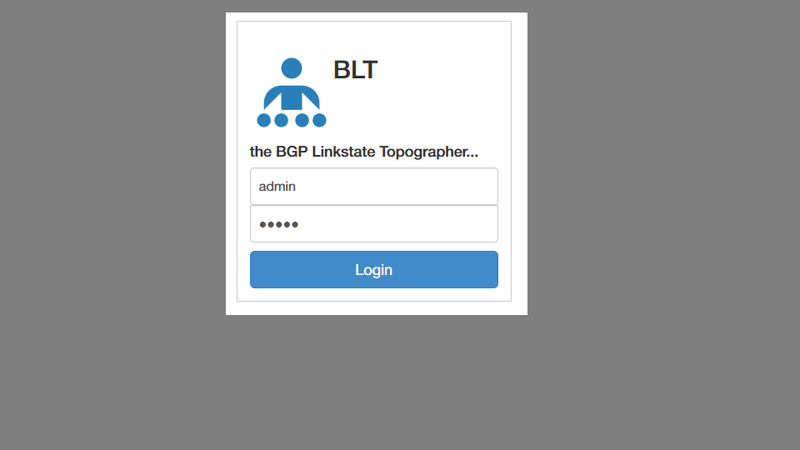 BLT is made freely available by NetFishers. No restriction in usage, just download, install and use!